Raise your hand if you recently had surgery and ate all of the things while not moving for nearly a month!!! Jay is raising his hand right now. 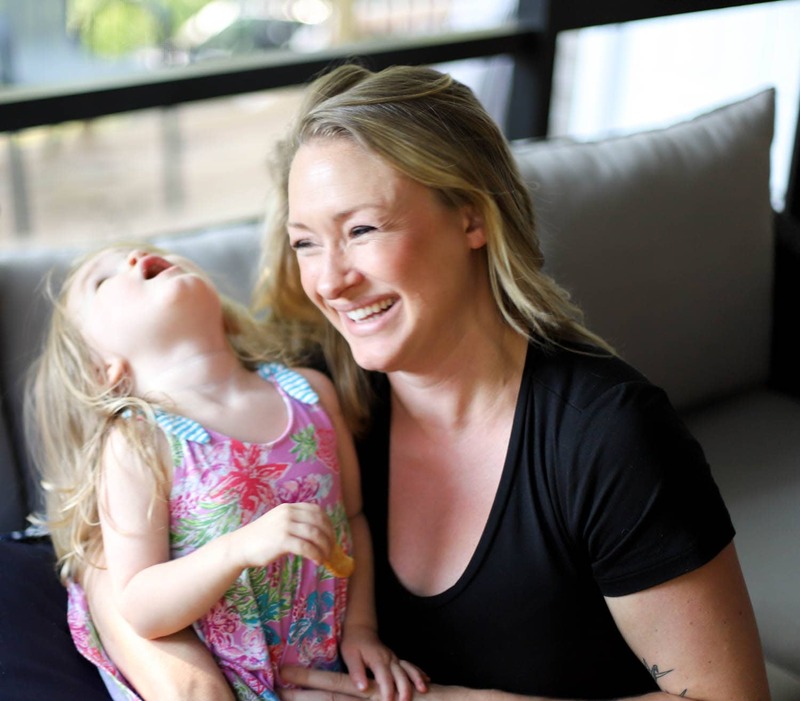 We’ve had the weirdest few months – we were all three sick in increments so basically someone in the house was sick for over a month, then Jay traveled for work, then had surgery, and in that time frame we decided that CARBS AND DAIRY GOOD and KALE BAD. Which honestly emotionally was exactly what we needed, but still. Can’t do that forever, sad aging bodies don’t work well that way. Now, let me be super clear that I think Jay looks no different and he’s maintained a super duper great outlook on health and food in 2018 so far, BUT, I definitely get that sometimes after a slump it feels great to eat especially lighter or healthier meals. For us, that means less/no red meat, fewer carbs, and smaller portions. We aren’t cutting out anything exactly, but more fish + veggies + vegetarian options feels great to us right now. With cheese on top. 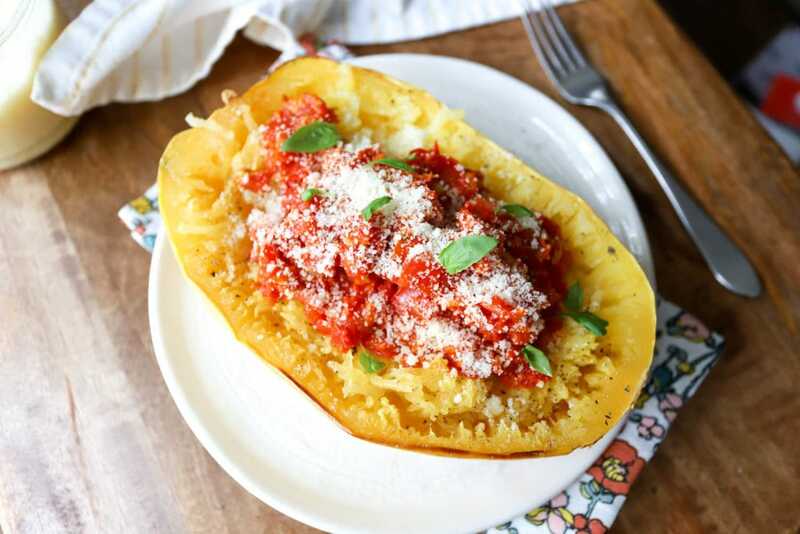 So to continue our Whole30-is-over-but-white-carbs-aren’t-great way of eating, spaghetti squash is back in the house with a fun vengeance, because we both love it. 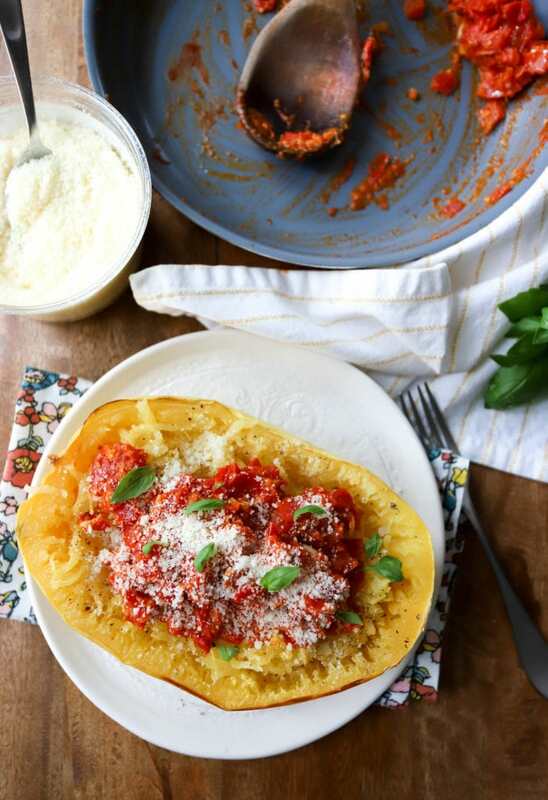 The idea for this fresh sauce came from Pinch of Yum, which I read all the time and adore, and serving it over spaghetti squash seemed like a no-brainer. The way to make this delicious is a teeny bit of butter in the sauce, parm on top, and LIBERAL use of salt and pepper. Unsalted anything isn’t great, but an unsalted healthy-on-purpose meal is just the most sad. Salt for president! I start this by roasting the squash at 400F, which is super easy and foolproof. Cut the squash in half and scrape out the seeds (I use a grapefruit spoon for this), then place the halves cut-side up on a small baking sheet. 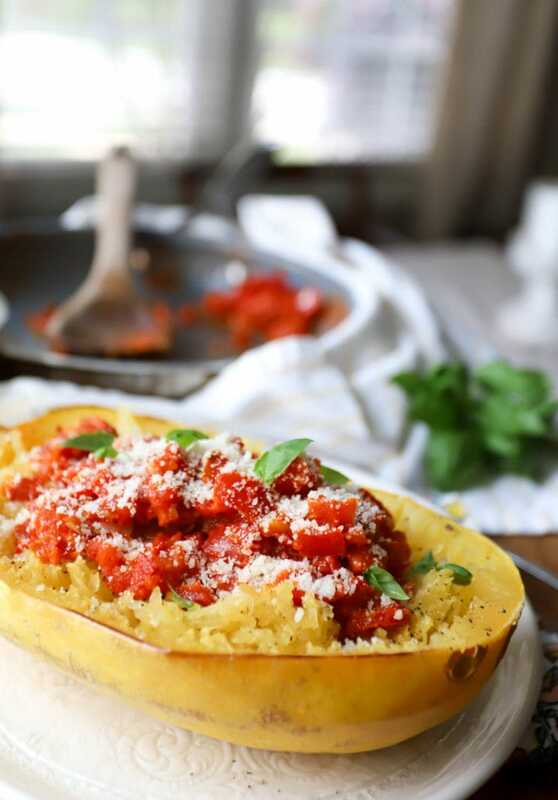 Drizzle the spaghetti squash with olive oil and sprinkle it with salt, then roast for 45 minutes while you make the sauce. 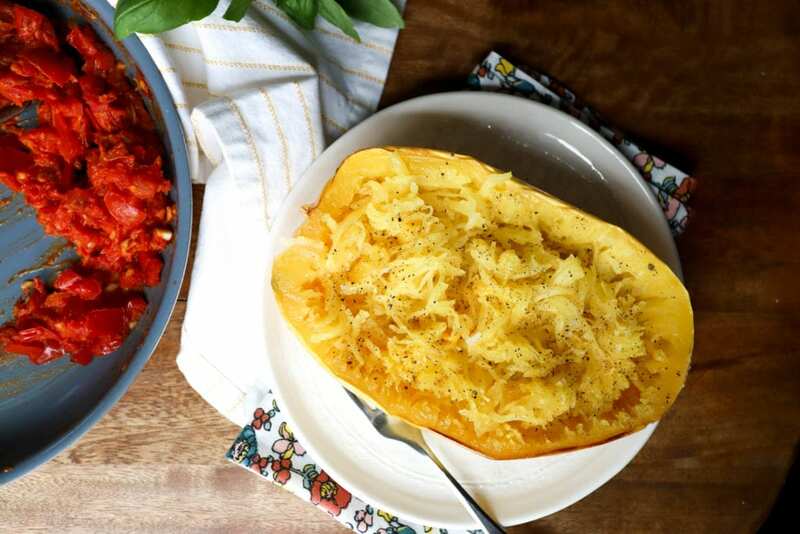 The squash will be tender and mild and shred into pasta-like threads, and it’s so delicious. While the squash is roasting, make the sauce! 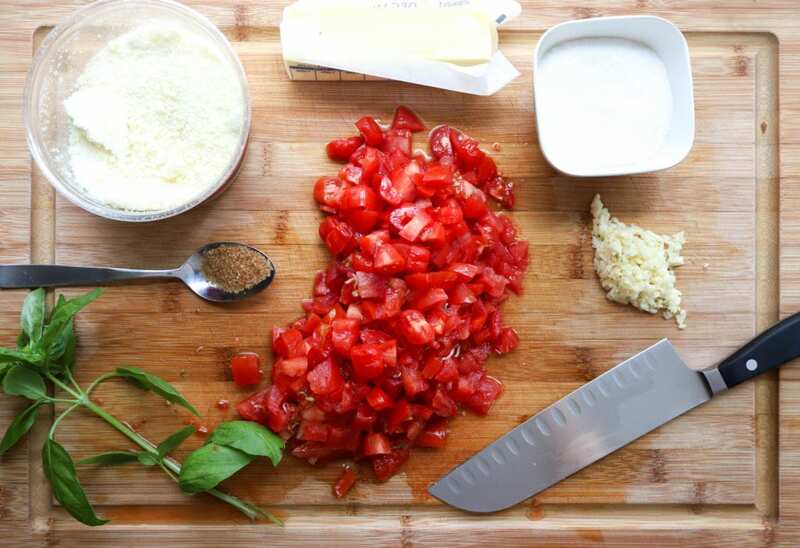 Chopped tomatoes (this is a great use for plum tomatoes or anything less than wonderful to eat raw), garlic, butter, salt, sugar, plus basil and parm for topping. 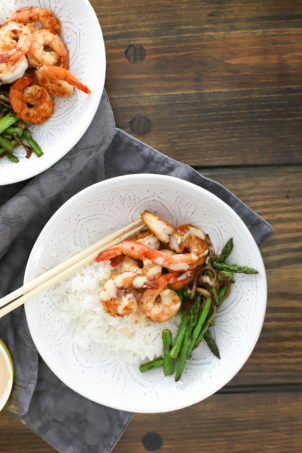 So easy, so delicious. Start the sauce in a medium or smallish (the sauce cooks way down) skillet with one tablespoon of the butter and the tomatoes over medium heat. 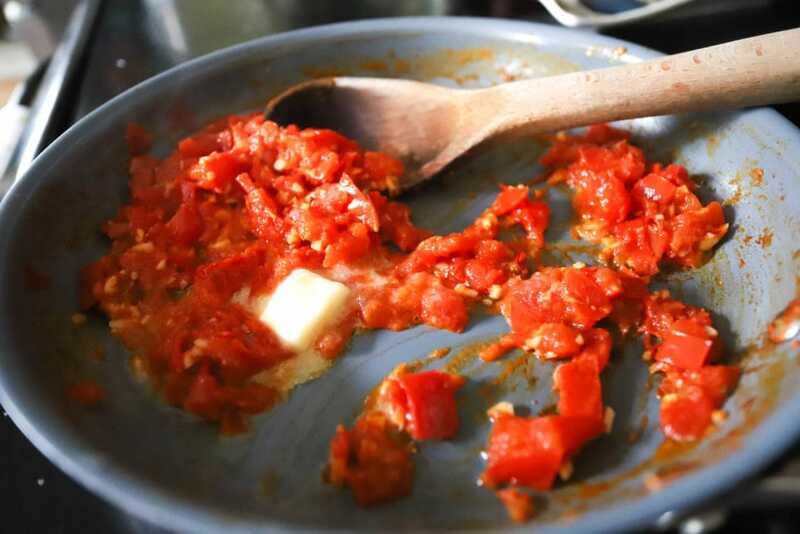 Stir the tomatoes into the butter for 10 minutes to break them down and thicken slightly – they should stay juicy; if the pan starts to dry out, turn the heat to medium-low and move to the next steps. 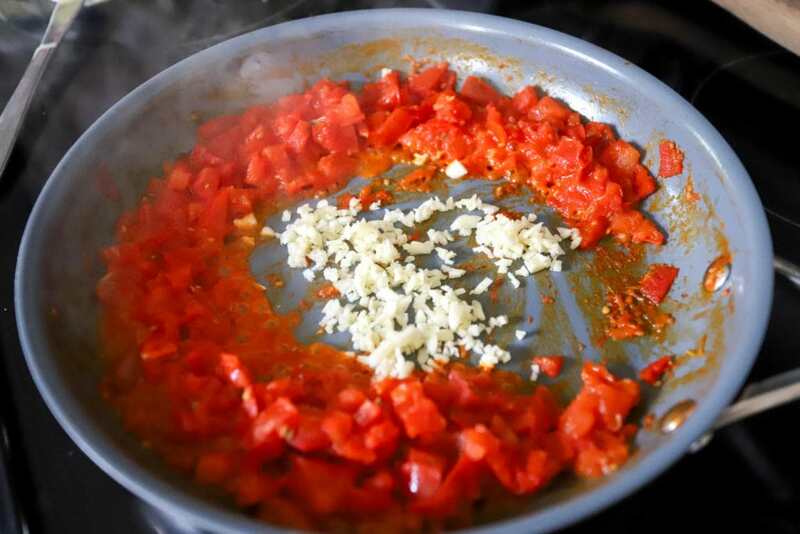 When the tomatoes have wilted, add the garlic to the center of the pan. Cook the garlic for two minutes, then stir it into the tomatoes. Add 1/2 teaspoon salt and sugar to the skillet and stir. 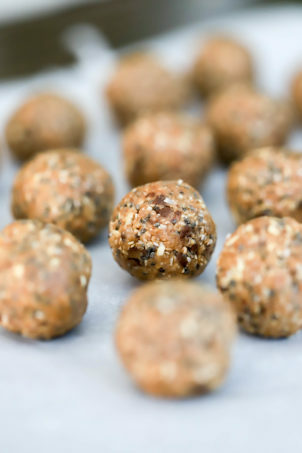 Taste the sauce and add more salt and sugar to your preference, or a splash of water if the sauce gets very thick. At this point, you can turn the heat off the tomato sauce and set it aside, or serve it right away if the squash is ready. When you’re ready to serve the sauce, turn the heat off the skillet and stir in the last pat of butter. When the squash is done, use forks to gently shred it to separate the pieces of squash, then scoop it out of the shell (or serve it directly in the shell like I do here!). 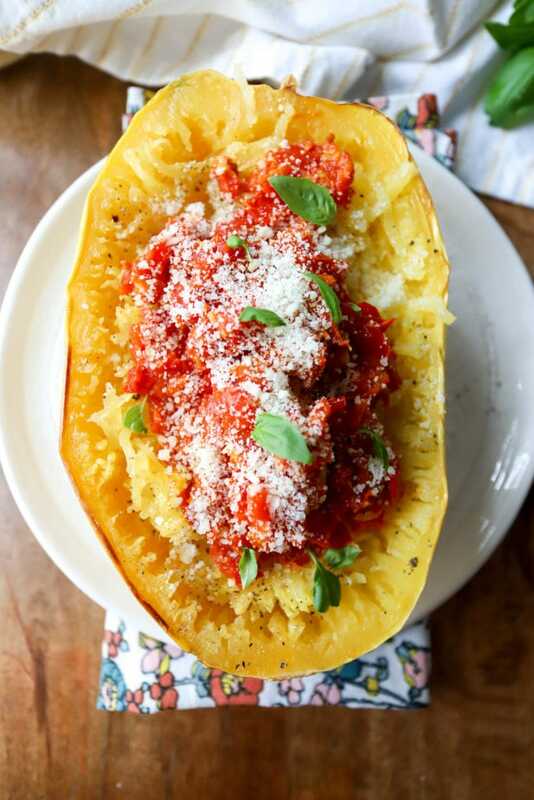 Spoon the sauce over the squash, cover everything with basil and parm, and dinner is served! GAH, I love this so much. Truthfully a half spaghetti squash is way too much for me to consume at once, but Jay can eat a whole one if this is his entire meal. 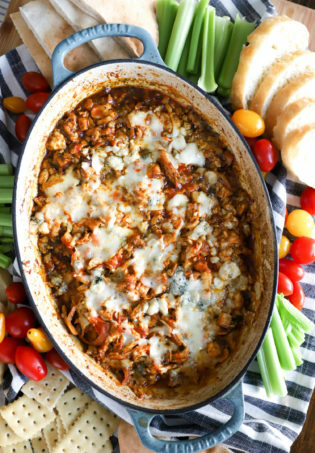 So, this recipe can serve 2-4 people depending on who you’re serving and what else is happening with your meal! The fresh tomatoes + basil here are so summery and light, but the squash and cheese make the meal feel hearty without being overly heavy. 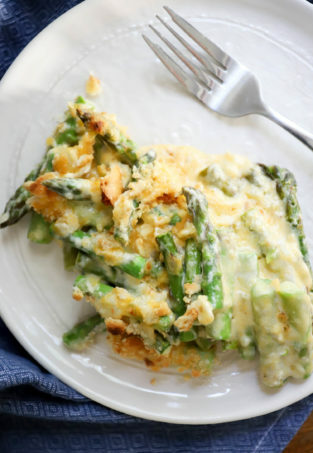 I’m thinking we make this all summer with different herbs and cheeses on top each time. Extra cheese, always. Preheat the oven to 400F. 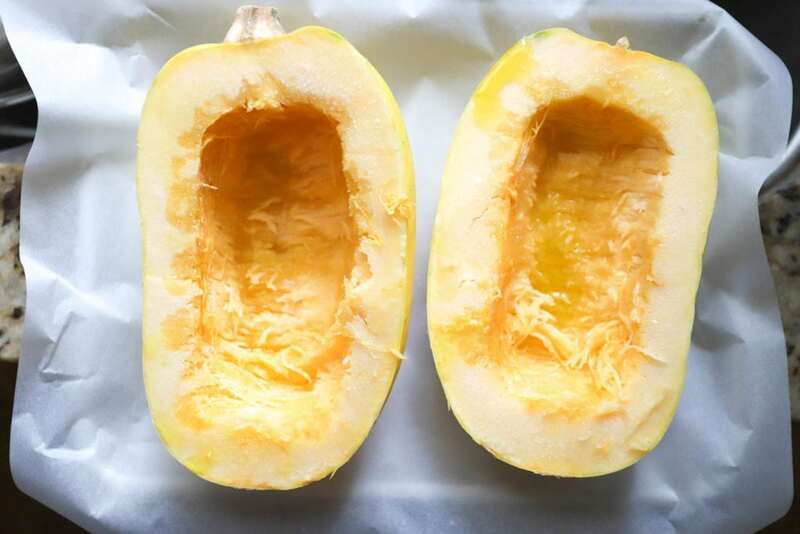 Cut the squash in half and scrape out the seeds like a pumpkin. Place the squash cut side up on a baking sheet. Drizzle with olive oil and sprinkle with salt, then roast for 45 minutes until tender. Meanwhile, make the sauce. 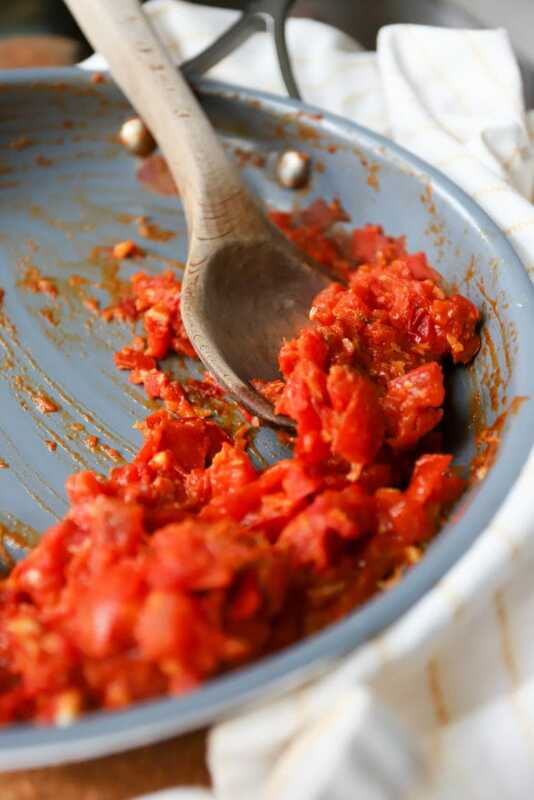 Place the tomatoes and one tablespoon of butter in a skillet over medium heat. Cook, stirring, for ten minutes or until the tomatoes have cooked down slightly. 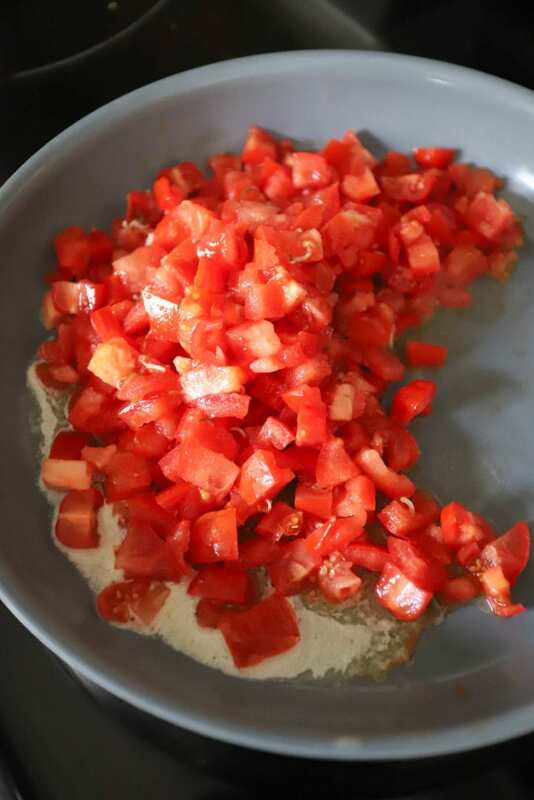 Make a well in the center of the tomatoes and add the garlic. Cook for two minutes, stirring a few times, then add the sugar and a few good pinches of salt to the sauce. Stir again and taste; keep adding salt and more sugar if needed until the sauce is very flavorful. Turn the heat off and stir in the second tablespoon of butter right before serving. 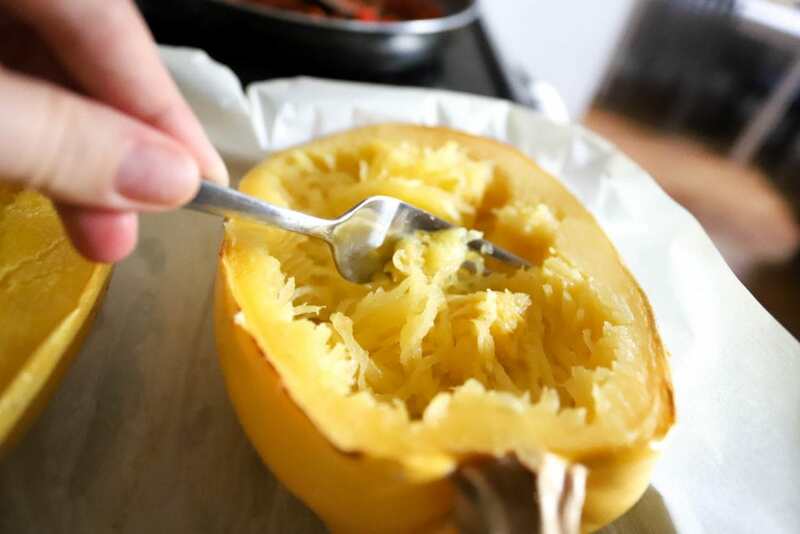 When the squash is cooked, shred with two forks and remove from the skin, or leave in for presentation/serving purposes. 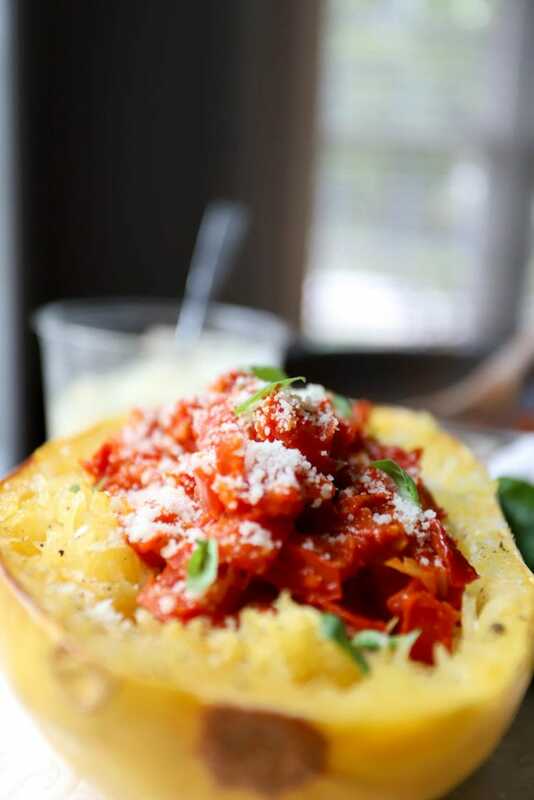 Serve the spaghetti squash topped with the sauce. Garnish with parmesan and fresh basil. Enjoy!